What does the Aviculture Committee have in store for 2019? Establish relationships with outside organizations that have a vested interest in aviculture and animal health, such as American Federation of Aviculture (AFA) and Avicultural Society of America (ASA). Plans for integrating an aviculture course in this year’s ExoticsCon conference and more courses at future conferences. Establishing a research fund for Aviculture related topics. Increase committee member participation in preparation for Aviculture research grant. What does the Education Committee have in store for you for 2019? All new client handouts on "Managing Chronic Egg Laying" and "Captive Foraging for Companion Birds"
Translations of our avian care handouts that are available to the public into other languages. More content to the Education Portal such as "How To" videos and lectures from our annual conference. We intend to keep you posted on any new information we have to share through our social media and quarterly newsletters so make sure to check those out! Moreover, we are always interested to hear from YOU about what information you would find helpful to have for your clients' or your own education. If you have special requests or handouts to donate, please let us know! Traditionally the first resolution that anyone makes (and breaks) is to lose/reduce weight. As a finance committee we resolve to do just the opposite. We are going to continue to strive to bloat/gain/expand. We are working on a more balanced and thoughtful approach to investing and growing our assets with the long-term goal of financial stability and sustainability. The finance committee looks forward to a bloated and fulfilling 2019. Translation of the AAV client handouts into at least 5 different languages (Spanish, French, Portuguese, German, Dutch, Chinese). We welcome volunteers to step forward if they would like to translate the handouts into any other language. What does the Legislative Committee have in store for you for 2019? Expanding our committee is a high priority. There is so much to be done in keeping up with all the changes that are happening here in the US and abroad that may impact avian health and stewardship. We need your help! Please contact us if you would like to serve on this committee. Post monthly updates on legislative issues through social media to help keep our members informed. Work closely with the Conservation and Aviculture Committees to insure we are spreading awareness of relevant issues. We intend to keep you posted on any new information we have to share through AAV’s social media and quarterly newsletters. We are always interested to hear from YOU about what information you would find helpful in keeping up with today’s rapid developments in legislation that may impact our profession or the health and welfare of birds. A membership drive for graduating senior students, which will be coordinated with veterinary medical school outreach. A meeting during ChicagoVet 2019 that will give AAV members in the region an opportunity to network and discuss challenging cases. Will you be attending ChicagoVet 2019? Let us know so we can be sure to include you in the invite. Continued promotion of AAV’s most valuable asset--our members—through the Member Spotlight. We would like to expand Spotlights to include brief videos or photo diaries. Do you have a brief video that highlights your professional activities and experiences? What does the Research Committee have in store for 2019? We’ll be taking scientific papers from JAMS and discussing how they relate to avian practice, ie. how practitioners can apply the information in practice situations. We will provide the AAV membership with information on results from previous research grants, including updates on research projects and resulting publications. 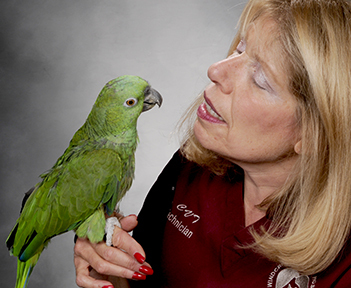 We are working on a special call for grants for the companion bird fund for AAV’s 40th anniversary in 2020, the topic to be determined based on feedback from practitioners on what are the most important problems plaguing avian medicine. We’ll be putting up some great auction items to keep the research fund strong and always welcome AAV members who want to contribute to the committee and provide their feedback on research proposals. Provide new handout for rescue groups to give out when birds are adopted explaining the need for a veterinarian with specialized avian training for the best care of their bird. Continue our recently launched #AAVEnrichmentTip Tuesday and #FeatheredFactFriday posts on AAV's public Facebook, Twitter and Instagram social media platforms. Continuing to include content regularly on our social media sites from AAV’s other committees to keep the membership and the public up-to-date with all that these committees are doing. Encourage our membership to follow AAV's public social media sites and share our posts to their clinic pages to further engage our audience and educate bird owners. Share one veterinary video tip quarterly with the membership. Would you be interested in sharing a video tip? We'd love to hear from you – contact us today! What does the Student Committee have in store for you for 2019? We are always interested to hear from YOU about what is needed from our student membership. If you have any requests or suggestions, please let us know! Happy New Year from the technician committee at AAV! We are excited to give you a sneak peek at what we are working on in 2019. Social media posts and content for the bird-loving technician. Content for technicians on AAV's website. Quarterly e-mail articles that include a member spotlight section. We will keep you in the loop with other exciting things we have in the works so make sure you check your e-mails for those newsletters and check out AAV's Facebook page to stay current on what we have in store for you this year!